A Peanut Butter Cup for breakfast?! This is totally do-able with this easy make-ahead breakfast that’s full of healthy ingredients that taste like a treat! I am so not a breakfast kind of girl. I know, I know. It’s the most important meal of the day. I get it. And don’t get me wrong. I LOVE breakfast foods. I would just rather eat them at least 4-5 hours after I’ve woken up and had a couple cups of coffee. Or even better, breakfast for dinner! That is the best! No but really. So about 2 years ago, I, along with the rest of the blogging/pinterest world was testing the waters on this weird new breakfast option – Overnight Oats. Let me tell you, we were obsessed! I think my wife and I ate them every single day for the entire summer. Berry overnight oats. Pumpkin overnight oats. 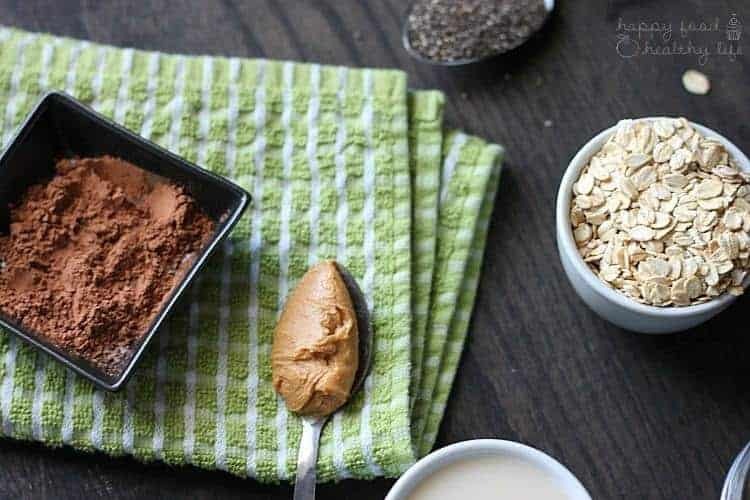 Coffee overnight oats. All.The.Overnight.Oats. You take your oats, put them in a super trendy mason jar, top it with all your amazing toppings, like chia seeds, protein powder, honey or maple syrup, berries, nuts, etc. The options are really endless. And then you just pour your milk of choice over the top of it all, put a lid on it, and let sit in the microwave overnight, as the name suggests. In the morning, they’ll be all mixed, soft, and ready to devour. I know, totally weird, right? I felt the same way before trying my first jar of overnight oats. You don’t actually cook the oats. You just let them soak and meld with all the deliciousness you put in the jar. And strangely, even without heating it up, it tastes delicious and refreshing! And let me tell you, when your jar is full of cocoa and natural peanut butter, you won’t care what temperature your oats are at all. 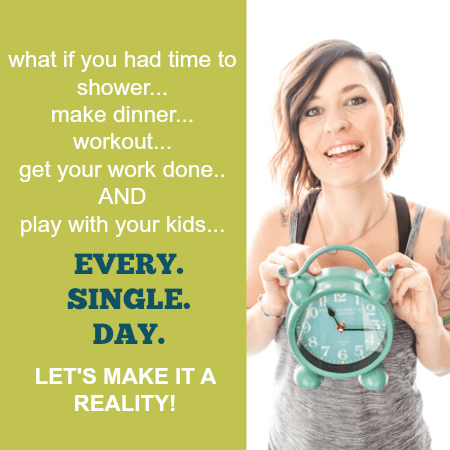 You’ll just be reveling in the fact that you feel like you’re eating dessert for breakfast and don’t feel the slightest bit guilty. All those Reese’s Peanut Butter Eggs (trees, hearts, pumpkins, etc) you can’t stop thinking about are up against this treat. 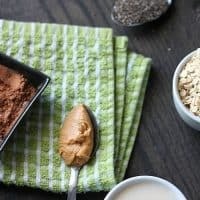 They will no longer have power over you because you now know that you can make something that tastes even better than the artificial (but yummy) peanut butter chocolate combination by mixing up this jar of yum. Combine all ingredients in a jar and place in the refrigerator overnight or for at least a few hours. Shake it all really well, and if all the liquid has been absorbed, feel free to add a splash or two of more milk so you can stir everything up. You can microwave it to warm everything up or just eat it cold. 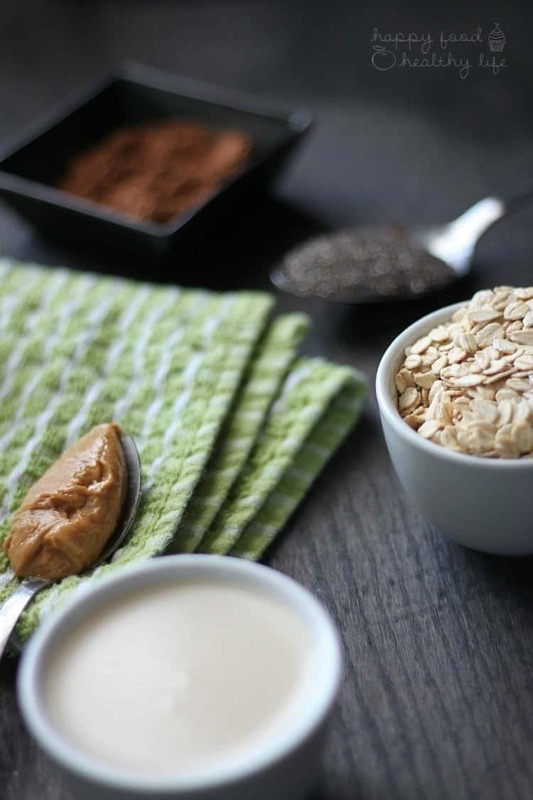 Looking for more healthy breakfast ideas? 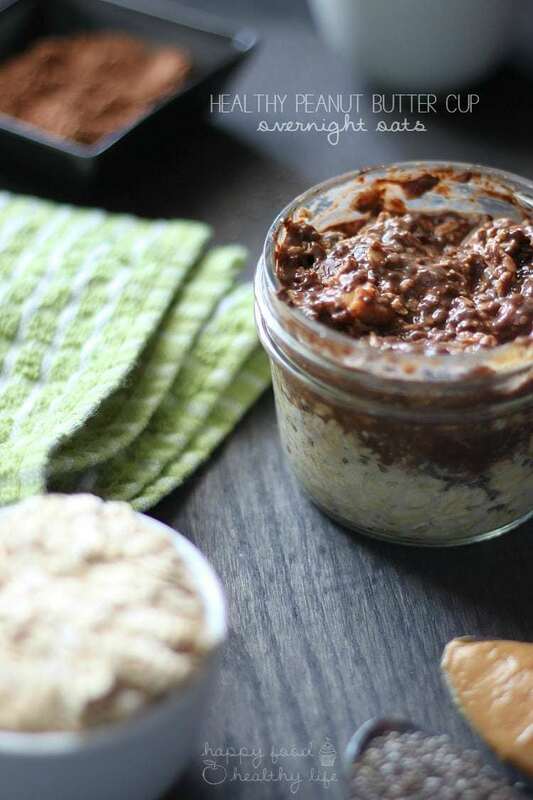 I’ve been wanting to try overnight oats so I will have to give this recipe a try! Pinned, tweeted, and shared. Thanks for sharing at Merry Monday, hope to see you again next week! ^^This is terrible advice. You should not let it sit in the microwave overnight.. Spoiled milk, anyone? Later on you state to place it in the fridge, so you should probably update your first mention to say that. Hey Angela – thank you so very much for pointing that out. You’re right – that would be terrible advice to leave milk out all night. I fixed the typo and advised to set oats in the FRIDGE overnight.